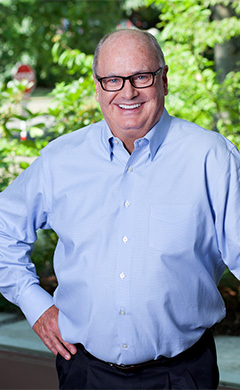 Whether through his dental practice, his lectures, his books, his appearances on radio and television, or his philanthropic efforts, Dr. Brian McKay has always had a consistent mission: to help improve the lives of as many people as possible through the art and science of dentistry. Named one of Seattle’s Top Cosmetic Dentists by Seattle Magazine, Dr. McKay is a highly trained and experienced general dentist with an emphasis on cosmetic dentistry and dental implants. Through his practice at Advanced Cosmetic Implant & Laser Dentistry of Seattle, he provides world-class care to patients throughout Seattle, the Puget Sound region, and Alaska, Montana, Idaho, and Oregon. Dr. McKay is a Seattle native, University of Washington alumnus, and graduate of the USC Dental School in Los Angeles. He served as Clinical Instructor at the Las Vegas Institute (LVI) for Advanced Dental Studies, and later co-founded the Pacific Aesthetic Continuum (PAC~Live) at the University of the Pacific Dental School in San Francisco. Throughout his career, Dr. McKay has lectured and taught thousands of dental students internationally. A lifelong student himself, he attends hundreds of hours of post-graduate dental education courses annually to maintain his expert status. One of Dr. McKay’s special interests is in giving those with eating disorders the opportunity to restore worn, unhealthy teeth and gums to a sparkling new smile. He is the author of Bulimia Is a Dental Disease, the first book of its kind to explore the link between eating disorders and dental health. His knowledge of this highly specialized area has made him an in-demand leader within the eating disorder professional community. To support disadvantaged individuals suffering from eating disorders, and to teach dentists how to compassionately treat and interface with those suffering from eating disorders, Dr. McKay founded a non-profit organization called The Smile Within Foundation. The foundation is one of many national and Seattle-area philanthropic organizations supported by Dr. McKay. Find out how Dr. Brian McKay can help transform your health and well-being through better teeth and a better smile. Schedule a consultation with Dr. McKay and his staff at Advanced Cosmetic Implant & Laser Dentistry of Seattle. Use the form below to ask a question about Dr. McKay and one of our expert team members will get back to you shortly.